A December meeting between China’s National Development and Reform Commission (NDRC) and Samsung Electronics about the company’s role in price increases for memory products could moderate DRAM price hikes in the first quarter of 2018, according to DRAMeXchange a division of TrendForce. It also could potentially drive Samsung, the market leader for DRAM and NAND flash, to expand its production capacity earlier than planned. 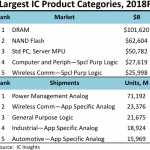 The average selling price (ASP) for DRAM has risen by more than 40 percent in 2017 while NAND flash ASPs has risen by nearly 40 percent during the same period, according to DRAMeXchange. “The meeting between NDRC and Samsung took place because the Chinese government has received appeals from domestic smartphone makers that are struggling under component cost pressure,” said Avril Wu, research director of DRAMeXchange, in a statement. “By petitioning NDRC to investigate Samsung for monopolistic practices, Chinese smartphone brands hope that Samsung and DRAM suppliers following its lead will consider carefully before initiating the next round of price hikes,” she added. 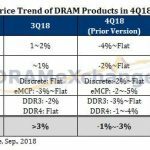 If suppliers heed NDRC’s opinion, Wu expects the price upswing particularly for mobile DRAM to moderate in the first quarter of 2018. Samsung appears to have started to lower quotes to the Chinese smartphone makers even with tight supply. A likely reason: More than 50 percent of Samsung’s memory business revenue came from China in 2017. 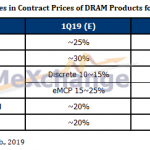 As a result, DRAMeXchange has dropped the average price increase for mobile DRAM from an initial forecast of five percent to three percent. However, prices for server DRAM are forecast to keep increasing during the first half of 2018 due to tight supply. 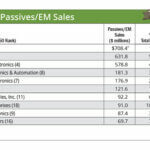 The server DRAM market has experienced tightening supply and rising prices due to data center growth in North America. Wu said Chinese PC and server manufacturers have maintained product margins by implementing cost control measures that include holding back on increasing the memory density and aggressively stocking up on components since the third quarter of 2017. 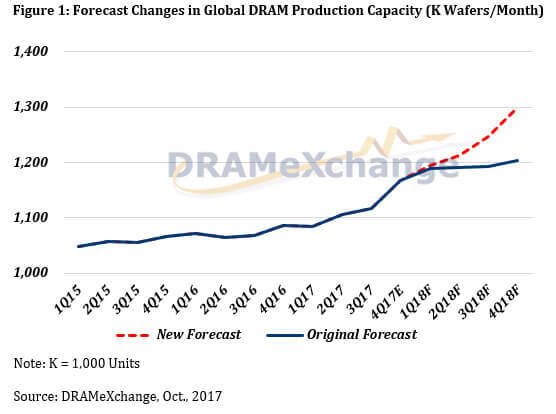 DRAMeXchange doesn’t expect major DRAM suppliers to expand their production capacity significantly in the first half of 2018. This means buyers should expect continued tight supply until more capacity comes online during the second half. In terms of NRDC’s influence on NAND flash pricing, there likely won’t be much of an impact. 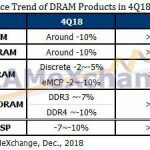 DRAMeXchange still forecasts oversupply for NAND flash in the first half of 2018 due to lower-than-expected demand and higher production capacity for 3D NAND. 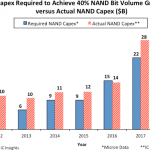 Price declines for NAND flash is expected to continue during the first half of the year. At the same time, China has taken big steps to increase its domestic IC production. Investments in memory devices is one of China’s big focus segments, and memory suppliers are taking notice. “There is no question that China definitely is looking at investing in more DRAM as well as on the NAND side,” said Sanjay Mehrotra, Micron Technology’s CEO, during a Credit Suisse conference in November. 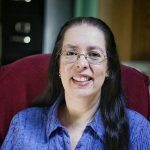 Players in NAND and DRAM today have been in this industry for decades, and it takes many years of experience to be able to develop a technology to deploy it into production successfully and have the right products to meet customer requirements and have the ability to drive scale, he said.